As someone who grew up in the 8-bit and then 16-bit eras, there was nothing BUT local multiplayer to be had. I just thank goodness that I had an older brother and friends to play games with like Super Mario Bros. 3, Teenage Mutant Ninja Turtles II: The Arcade Game, Double Dragon, Super Mario Kart, Tetris Attack, and so on and so forth. Now, it seems in a world of information cycling all corners of the earth rapidly, home console games have been proudly trumpeting online multiplayer, even completely forgoing anything for us local fans. Now, don't get me wrong-- I do enjoy occasionally hopping online and playing against total strangers and friends. It certainly has its place, especially for those without gaming buddies and family members to play locally with. However, the difference is that when I'm called a homophobic slur by someone in a local multiplayer setting, I can drop the controller and beat on them until they apologize. This isn't so online, where anonymity breeds insensitive players, bigots, and the slime of humanity. This is one reason why I preferred the Wii this past generation (though every platform this generation was worthwhile to me). It not only had a great variety of big, medium, and small tier titles, but it also had a veritable smorgasbord of local multiplayer offerings. 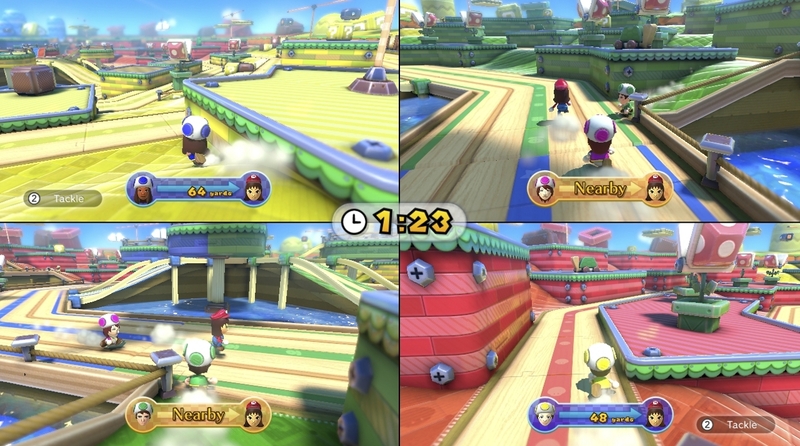 While the other consoles flexed their online multiplayer muscle to impressive lengths, Nintendo seemed to go kicking and screaming to deliver online multiplayer to their games. Even still, the company's focus was mostly on building entertaining and compelling experiences through direct social interactions. 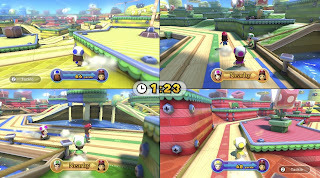 Games such as Wii Sports, Wii Sports Resort, Wii Play, Wii Party, New Super Mario Bros. Wii, Mario Kart Wii, Donkey Kong Country Returns, Kirby's Epic Yarn, Kirby's Return to Dream Land, and Rayman Origins (though this was a multi-platform title) all delivered incredible multiplayer experiences that were best played intimately with a group full of friends and/or family members. 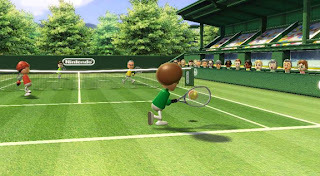 It seems Nintendo's focus on local multiplayer is continuing with the Wii U, with games like Nintendo Land (especially this one), New Super Mario Bros. U, Game & Wario, Pikmin 3, Super Mario 3D World, and Donkey Kong Country: Tropical Freeze all having local multiplayer only. While it's not encouraging for those who enjoy online gaming (even I have grown attached to wanting to see as many games incorporate an online multiplayer component), it's still nice that at least one console manufacturer, publisher and developer is not forgetting about those of us who'd like to enjoy our games face-to-face with company. I'd love to see that more with the other next generation consoles: developers who still dedicate time to investing in local multiplayer for their games. It need not replace online-- it just needs to be an option. Perhaps that's a reason why I am not very into the first-person shooter genre much anymore. 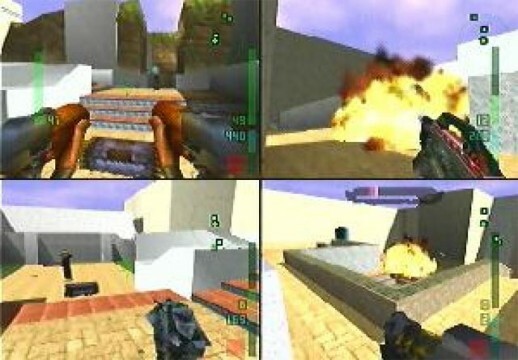 Many of the most popular shooters lack a proper local multiplayer equivalent. I love running, gunning, smack-talking, and laughing with people in the same room. It's the kind of fun feeling that a headset and a mic just cannot replicate. Those FPS games that do implement local multiplayer forget something that even a game from 2000 possessed, and is still one of the greatest examples of-- bots. Bots are a terrific way of getting me into a shooter's multiplayer component. If you are unfamiliar with a bot is, it's merely a player controlled by the AI of the game. No need for extra human players. You can enjoy the multiplayer mode by yourself, if you so desire. The game I referred to from 2000 is none other than my favorite first-person shooter still to this day, Perfect Dark on the Nintendo 64. Rare was sensationally ahead of their time with this game. 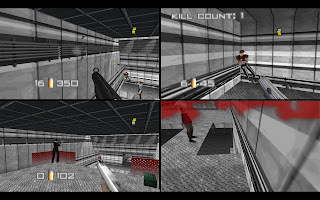 Their last FPS effort, the revolutionary GoldenEye 007, made FPS games seem much more feasible and popular on home consoles, leading the charge of developers shifting focus from the PC to consoles like the N64 and PlayStation. 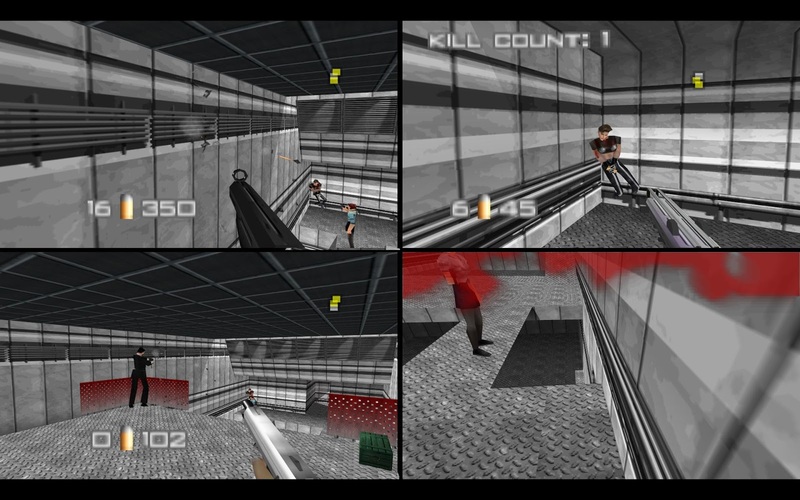 However, GoldenEye 007 lacked bots. In Perfect Dark, not only were there different bot difficulty settings, but there were a plentiful amount of bot personalities to attach to each simulant (as the game referred to bots as). For instance, one simulant could go after the player that killed them last, a simulant could always go after the player in last place, or a simulant could be a pacifist, only using its fists to take down its opponent. It astounds me, in all honesty, that this approach to bots hasn't been taking up by more games. 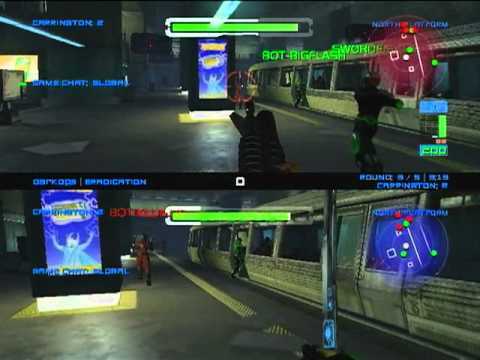 Even Perfect Dark Zero did not have simulant personalities; instead the game simply had bots with easy to hard difficulties. Still, I was happy to have bots to play around with, to learn each map and discover the best strategies for each area for when I decided to finally hop online (and realize I still sucked compared to so many other players). These reasons are why I love games that have AI opponents in the multiplayer, and this is one reason why Killzone: Shadow Fall appeals to me as much as it does. 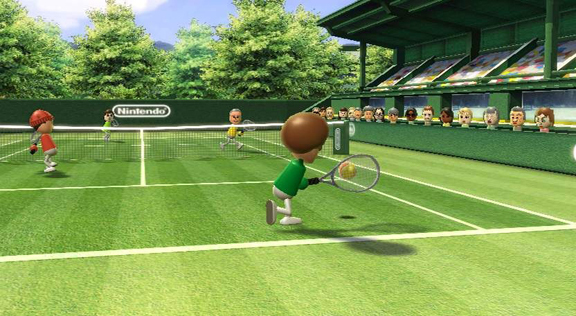 We don't have to have either online or local multiplayer-- we can have both! This is my urge to publishers and developers. There's still plenty of gamers out there who enjoy a more intimate gaming experience. Of course, making a local multiplayer part to a game isn't some simple thing where you get guys from a room with a "programmers" sign on the door and ask them to quickly and cheaply thrown in some stuff for gamers like me. It takes time and money from the development. I just think that for many, that time and money is still worth it. It continues to make gaming a social thing, instead of simply being in a dark room with only a TV, game console, controller, and headset to chat with anonymous and friendly voices alike (cliche example, I know). It is these social interactions-- these local multiplayer interactions-- that bring us closer together as gamers. It allows us to play our games our way. It gives us the chance to practice without blindly hopping online and being called a "n00b" because we don't quite have the multiplayer experience to go toe-to-toe with those who have been playing for months. I think there will always be a place for local multiplayer in gaming, and the more titles that include such features, the better and more balanced our hobby will be. Seriously. What's coming out tomorrow? Nothing big, right? We have no clue, but the internet and gaming community are both in uproars. Maybe we aren't that knowledgeable on gaming after all. In all seriousness, if you can tone down your hype for Grand Theft Auto V (if you even have any), we have our weekly lineup of five video game songs to share. 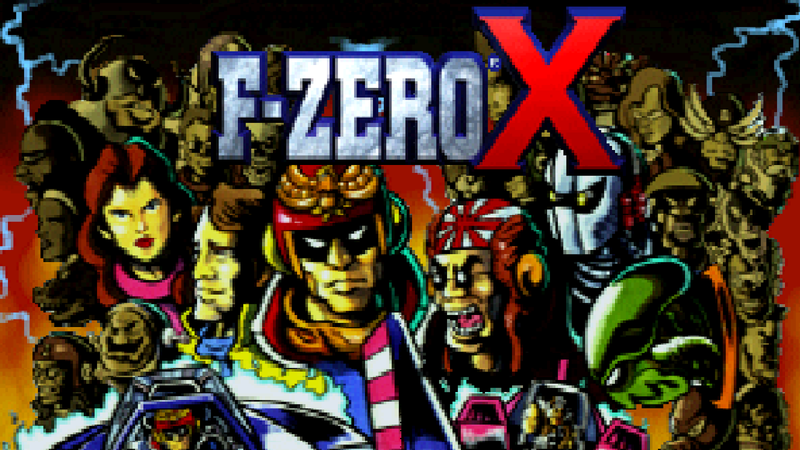 There's Mario, Sonic, and even some F-Zero X to have some fun with! Let's get started! 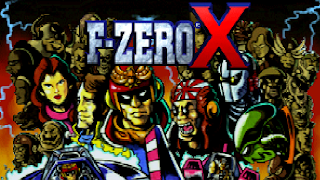 F-Zero X: Expansion Kit was a release that only occurred in Japan. In fact, the 64DD, an add-on to the Nintendo 64, only released in Japan as well. That's a shame, too, because as kids we remember thumbing through an old Nintendo Power and seeing coverage of this game, totally hyping us up. We had dreams of creating our own tracks, something the Expansion Kit possessed. Mario Kart 64's Rainbow Road made an appearance in the vanilla F-Zero X, but this theme only showed up in the Expansion Kit version. While we approach the official end of summer in North America, we have Koopa Troopa Beach to listen to from Mario Sports Mix. 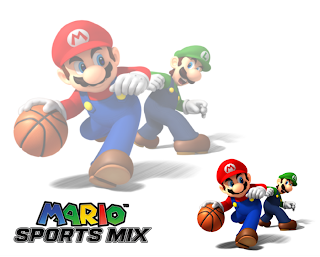 The game was based off the foundation of the Nintendo DS's Mario Hoops 3-on-3, but it was much more improved and offered three other sports. v463. 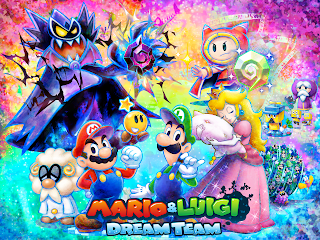 Mario & Luigi: Dream Team (3DS) - Never Let Up! Yoko Shimomura is some kind of musical goddess. Her work with the majority of Mario RPG games is hard to top. 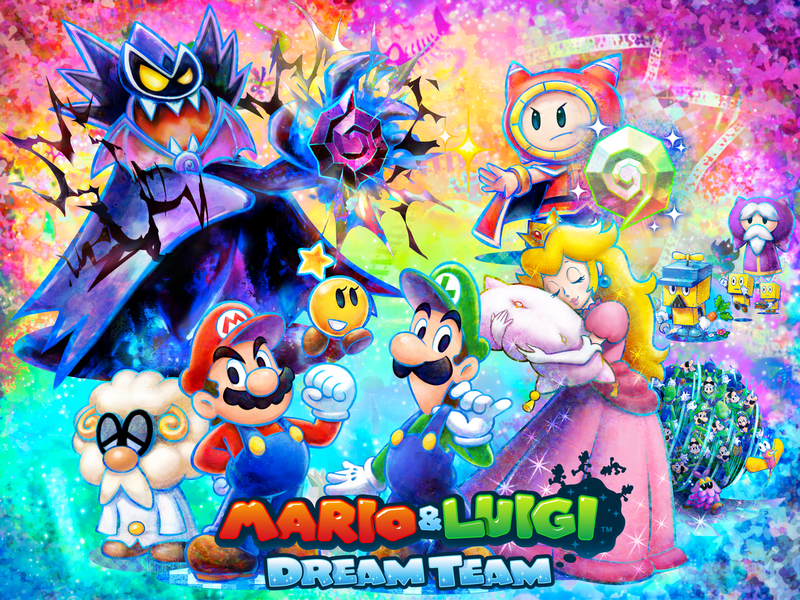 This boss theme from Mario & Luigi: Dream Team starts out very uptempo, but then it gets decidedly darker, shifting to a minor key. It's a terrific song to battle the baddies on Pi'illo Island. 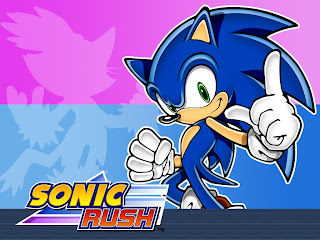 Dimps did well on the Game Boy Advance with their trio of Sonic Advance titles. Shifting to the Nintendo DS, they had extra real estate to work with in the form of a second screen. They utilized both to create levels that stretched to both screens. 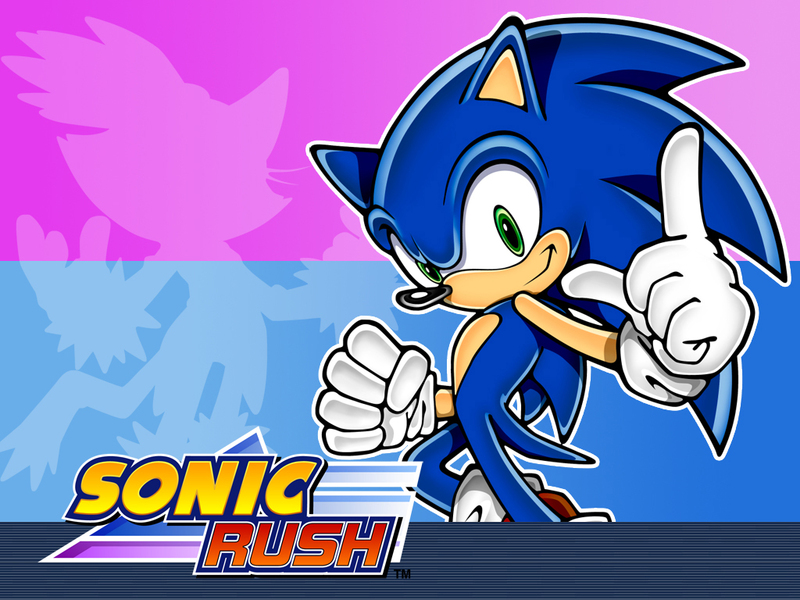 The composer from Jet Set Radio used his skills to create the fantastic soundtrack for Sonic Rush. This ending theme is inspirational and just darn catchy. 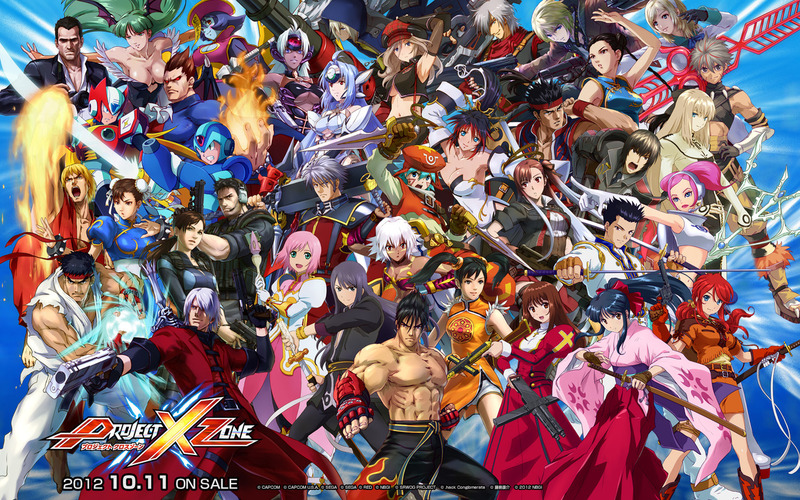 Project X Zone was a game that many thought would not release in the West (us included). To our surprise it did. However, the actual game wasn't the most exciting one ever devised. For every cool character that would join your squad, there was a tedious and repetitive chapter to wade through. Wanderer Road is the theme of the two main characters of the game, characters who were made specifically for the game.